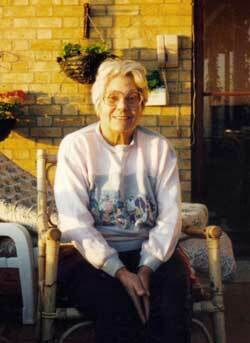 Alma Beaty in the conservatory of her Pegwell home. Whenever I’m in England – I’m an American – I attempt to visit Alma Beaty, and indeed, my visits with her are highlights of my trips. She shares with me stories about the property, and about the Garrows, and I provide her with the latest on my efforts to understand the larger Garrow story. It was Alma who first shared with me that Robert Louis Stevenson–actually his wife–wrote in a prefatory note or preface in Kidnapped describing their excitement in discovering Garrow’s trials in the Old Bailey, and she gave me her copy of Kidnapped for my collection. 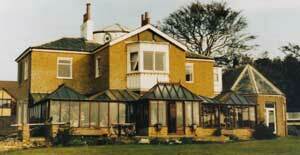 Alma also shared with me early photographs of the home, as well as the art work of the earliest period. With images of then and now it is possible to see how little the property has changed over the years. 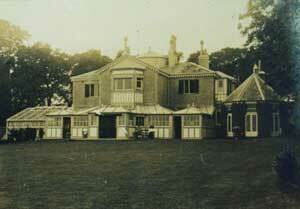 The villa shortly after Garrow’s time. Certainly one of the grand features of the home, then and now, is the large open area that you step into upon entering the home. The staircase rises to the second floor with its exposed walkway all the way around, providing the way to enter all the rooms adjacent to this open area. 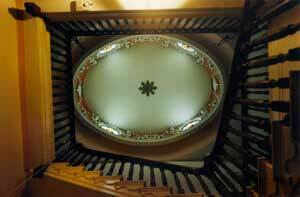 And looking up, there is the cupola and the bas-relief at the top of this interesting space. The home appears to be a brick structure, but this is an illusion. What appears to be brick, is actually ceramic tile. Alma tells me this is a unique construction technique that makes preserving the building important for architectural reasons as well as for the Garrow history. The below ground level kitchen was removed some years ago. The construction style used tile in place of brick. 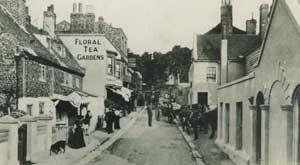 The home is immediately adjacent to the shops and pubs in the village of Pegwell, a famous site then and now. The famous Belle View Tavern where Dickens use to visit is almost next door. The Chalk cliffs are a special feature of the property. 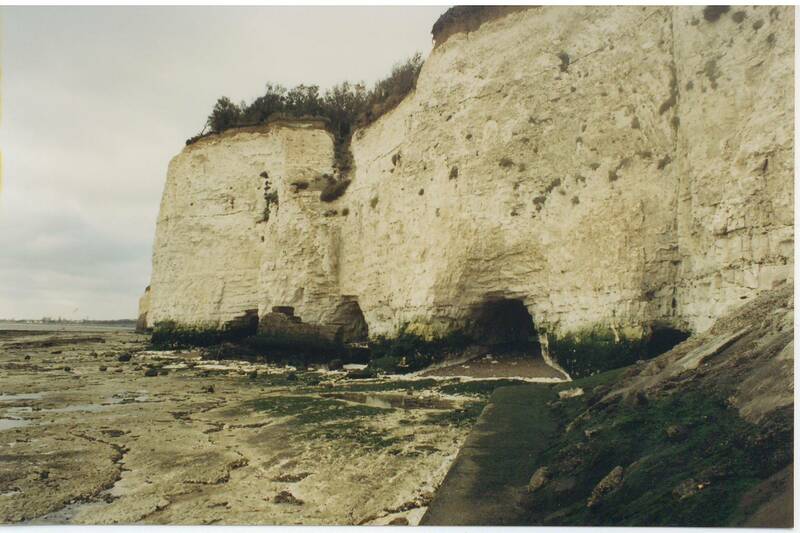 At high tide, the waves break against the base of the cliffs, concealing the tunnels which were in earlier times used by smugglers. At low tide the sea floor is exposed, and I have enjoyed exploring the caves and rocks at that time. These cliffs mark the edge of Garrow’s–now Alma’s–property. I’m not the first to enjoy exploring this area. William Dyce, the distinguished Scottish artist, painted these cliffs and ocean floor with the tide out back in 1858-60, shortly after Garrow’s death. The painting is called “Pegwell Bay, A Recollection of October 5th, 1858, and it now hangs in the Tate Gallery. It is reported to have been one of the most popular landscape paintings in England at the end of the 18th century. On my last visit with Alma, she wanted me to identify a ghost that apparently startles some of her guests. She thought I might know of skeletons in the family story – logical candidates. While I don’t personally believe in ghosts, I wanted to oblige Alma. One candidate was easy to nominate. It seems that when Garrow died, in his will he gave his housekeeper of many years, a Mrs. Sarah Young, all the furniture and bed linen in his bedchamber. She remained living in the house, but two months later she suddenly died there. 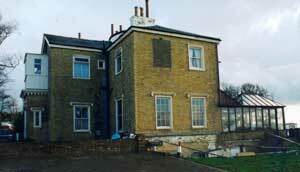 Perhaps the ghost of the Pegwell Cottage is Sarah Young. **UPDATE 15/10/2015: A photo of Pegwell Lodge take from the air in 1920 is now available to view online at Britain from Above: – http://www.britainfromabove.org.uk/image/epw000086 (with thanks to Peter Dance, Southern Nevada, USA).